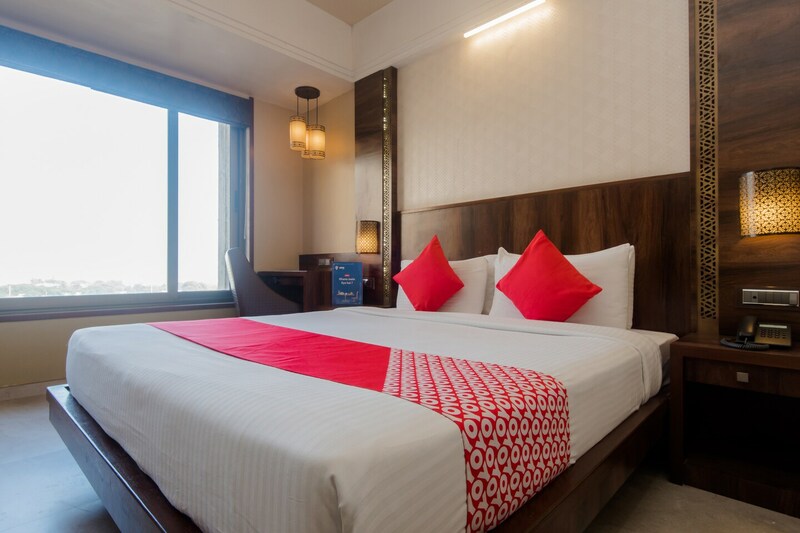 Hotel Crawford Inn is a well-designed and comfortable place to stay in Mumbai. The rooms are cosy and are equipped with basic amenities for a relaxing stay of the guests. The wooden panelling in the room add charm to the overall decor of the room. The wide windows let in the natural light, making the room bright and fresh. The room also has facilities like hair dryer and mini fridge. Guests can be assured of their security as the hotel is equipped with CCTV cameras. Free Wi-Fi service can also be used by guests to stay connected with social media or to complete their pending work. Guests can also enjoy delicious local delicacies at the restaurants nearby.